At one time this piece was most likely a mirror. But with the glass missing, it was begging to once again frame beauty. It could have easily showcased a vintage portrait or a new piece of glass, yet it somehow called for something more. 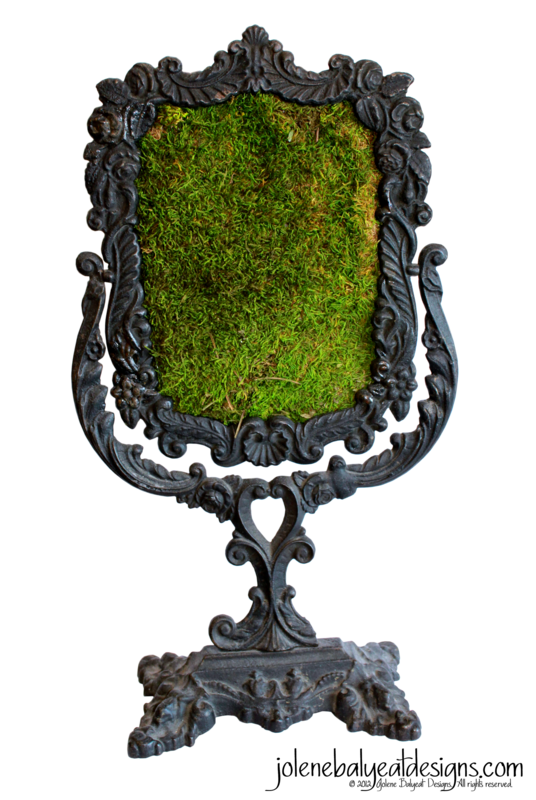 Textural qualities, and wonderful color variances made moss a perfect choice. I find myself drawn to it in nature and awestruck when I consider all the life to which it is home. It presented the long-awaited solution to the mirror’s dilemma. Now it encourages one to change their focus and reflect upon the beauty and mystery found in life. This entry was posted in Inspiration by jolenebalyeat. Bookmark the permalink.